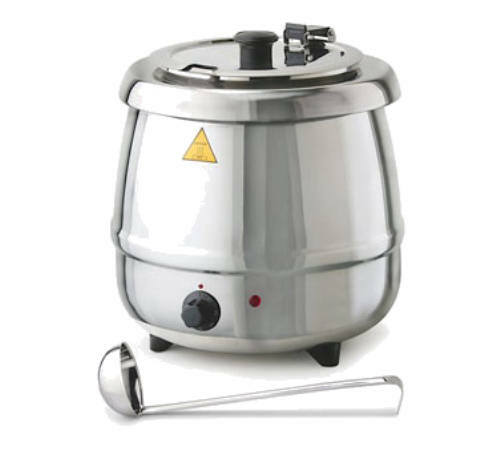 The Tomlinson Glenray 10.5 Quart Stainless Steel Soup Kettle Warmer - a commercial soup warmer and holding kettle featuring adjustable temperature control, stainless steel hinged lid and a durable steel shell. Includes stainless steel food insert and product cards. 120v/60/1-ph, 400 watts. Ul and NSF approved for commercial use. The Glenray® Soup Kettle is the top of the line in soup kettles, with NSF certification for commercial use and premium quality construction that rivals more expensive models at an affordable price.